Your Tarp will depend on how close you are to the CORRECT ANSWER. Correct Answer will get 50 Tarps. Maximum TARPS of this Pitstop is 100 tarps. 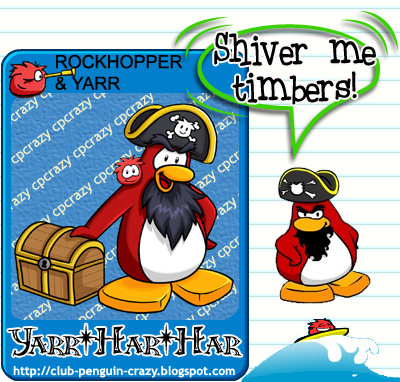 How many DAYS did it take for Rockhopper to return to Club Penguin after setting the Migrator to sail for the very first time? I Am Ain's little sister.. I would just like to say, that it's so cool how you use these stuff... YOU RULE!